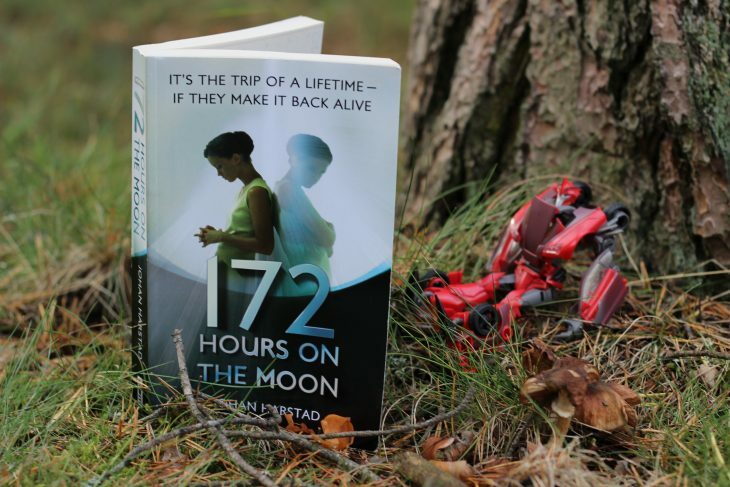 For my very first article of a new academic year at XAMK, I decided to review a book that I have read this summer, a thriller by Johan Harstad which tells the story of “the trip of a lifetime” of three protagonists – where an attempt to go back on the moon was made through a seemingly meticulous and ground-breaking process. However, as many books in the same genre, the story carries a predictable twist. Forty-five years after the legendary moon landing, a world-wide contest was being broadcasted by NASA in order to find three teenagers who will get an opportunity to travel to the moon and stay there for 172 hours. This seems like a once-in-a-lifetime jackpot for anyone who gets picked, so it has resulted in millions of youngsters all over the globe trying their lucks. At the end of the contest, three teenagers were picked: Mia from Norway, Midori from Japan and Antoine from France. However, as Midori and Antoine applied by choice, Mia was being signed up against her will; and she later became the most-focused characters of all three, who receives the most profound character development and storyline. The main plot of the story is, NASA is fully aware of a paranormal phenomenon which they have encountered during the last moon landing; thus, this so-called trip was purely a test to see whether that unknown force is still there, which means all the attendees were destined to not be able to come back alive. The protagonists each received unsettling signs which creepily foreshadow the fate of their trip but only when they landed on the moon that everything went south. Death after death, soon the three started coming to the realization that something sketchy was going on. The secret that NASA had been hiding for all these years turned out to be: every person who has been sent to the moon had a doppelgänger; and they would eventually be killed off by those creatures. Mia, Midori and Antoine tried everything they could to get back to Earth; but the moment the readers thought that we have won over the doppelgänger, it was actually the opposite. Before buying the book, I was genuinely intrigued. However, after turning the last page, I was only trapped with this empty feeling. I felt like the author tried too hard to give readers “the chills” with surreal details, while throwing in too many redundant sub-stories at the same time. The whole book revolves too much around Mia and her backstories that it seems a tad biased, where the other two are the embodiment of stereotypes. Personally, I think the plot idea is amazing, but the execution was not done properly. Perhaps my expectations were too high, thus I had more strict criticism, but the book turned out to be quite average. This is it folks, see you next week with another article!